Oil analysis is a predictive maintenance technology that allows users to diagnose lubricant and machine issues. Predictive maintenance technologies are geared towards catching problems before they occur. The best use of oil analysis is tracking and trending values over time. This technology determines chemical and physical properties of the lubricant. These properties can be utilized to make an informed maintenance decision about the condition of the equipment and lubricant. Oil analysis is similar to a routine blood test. By looking at a blood sample, a physician can determine the overall health of the individual. The same can be said for oil analysis. The analysis results give the end user an idea about the overall health of the equipment being tested. There are other predictive maintenance technologies like vibration, thermography, ultra-sound, and motor current signature analysis available in the market place. Out of all these, oil analysis is by far the cheapest predictive maintenance technology. For literally pennies on the dollar you can receive a dramatic return on your maintenance dollars by employing oil analysis. In today's current economic climate and the ever changing pricing of petroleum products, it is hard to believe many companies fail to see the benefits of oil analysis. If you are not performing oil analysis, you are missing the opportunity to save your company money. Now, more than ever, you need oil analysis! Oil analysis provides a wealth of of information. 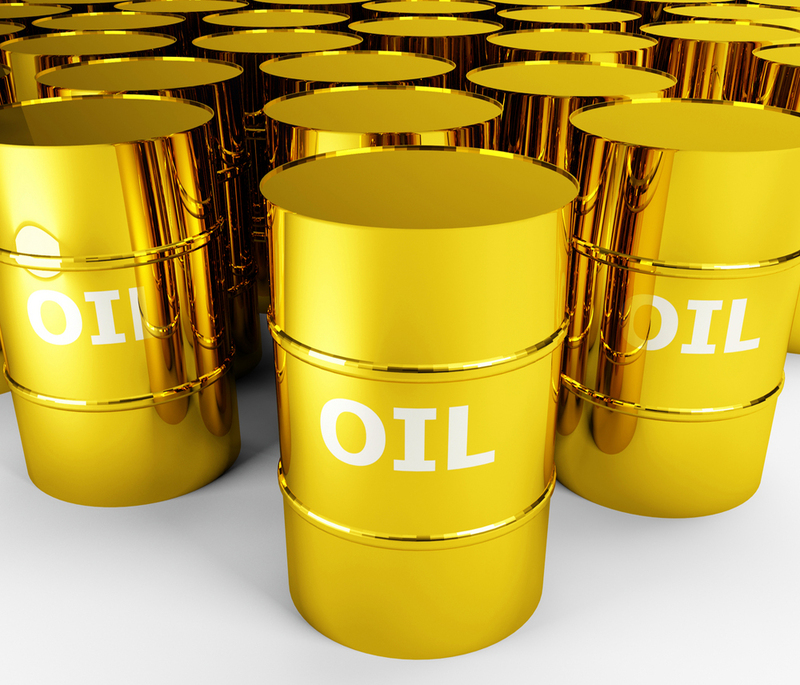 Follow the links below to learn more about oil analysis. Oil Analysis begins with a variety of testing options. Understanding oil analysis tests is critical to a successful oil analysis program. The composition of lubricants is an important factor in accessing the condition/health of the lubricant and machine. Particle count testing determines the quantity of particles in a specified micron size range and often report in ISO Codes. Viscosity is a lubricant’s resistance to flow at a specific temperature. It is one of the most important properties of oil. We offer a full range of ASTM standardized testing methods to ensure the highest quality for lubricant analysis. 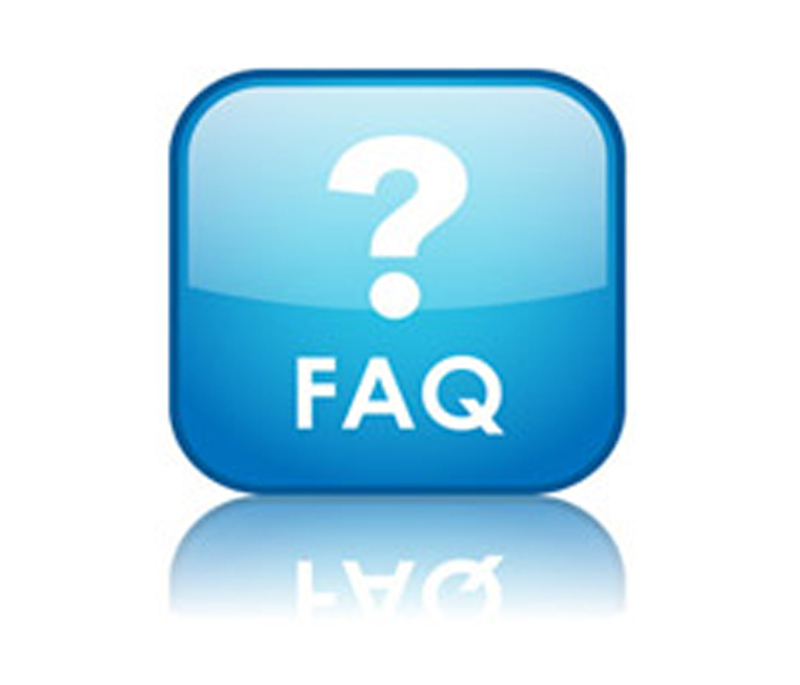 Quickly find answers to frequently asked questions about the laboratory and general information. Are you Protecting your Hydraulic Systems? Maintaining a routine monitoring program to detect problems early. When selecting a hydraulic fluid, it is important to determine which characteristics that would be most desirable for your system. Hydraulic fluids contain various additives such as anti-wear or fire resistance additives, rust and oxidation inhibitors and viscosity improvers. The hydraulic fluid used must be compatible with the materials in the hydraulic system, such as sealing materials, plastics, and metals. The fluid must also meet the equipment manufacturer's recommendations and specifications. In certain applications, safety issues are extremely important. Safety can be greatly improved by using a water based hydraulic fluid. Where there is a potential fire hazard, the use of an aqueous- based lubricant will allow optimum fire protection. Implementing a good filtering process in a hydraulic system is essential. The majority of hydraulic system failures are a result of particulate contamination. Hydraulic systems are affected by small particles as well as large ones. Particles are generated by a variety of sources including: wear metals, ingested dirt, debris and faulty components, such as seals or gaskets. Before implementing a filtering process in a hydraulic system, the equipment manufacturer should be consulted. It is also a good idea to consult with the lubricant provider. Because certain filters can remove performance additives and small amounts of water, their use could damage the unit. Whether you are using a petroleum- based, synthetic, or aqueous- based hydraulic fluid, proper hydraulic fluid maintenance is essential. With the hydraulic fluid coming in contact with all system components, lubricant monitoring in hydraulic systems can give an excellent indication of the condition of all the hydraulic system components. Minor problems can be detected through lubricant analysis before they lead to costly failures. The following tests are often used in describing the properties of hydraulic fluids. Viscosity is the most critical property of any hydraulic fluid. Viscosity is a measurement of a fluid's resistance to flow. Fluid viscosity is directly affected by temperature and pressure in the system. As the temperature increases, the viscosity decreases; as pressure increases, the viscosity increases. Changes in viscosity by either increasing or decreasing it can indicate contamination or degradation. Water content of a hydraulic fluid is important, whether the lubricant is aqueous based or otherwise. Too much water will reduce the fluid's viscosity, thus impairing its ability to lubricate properly. Too little water in an aqueous based lubricant can allow the fluid to lose it fire resistance capability. Foaming characteristics can be determined at specified temperatures. This allows a determination of the foaming tendency and the stability of the foam. The tendency of oils to foam can lead to inadequate lubrication, thus resulting in mechanical failure. Specific gravity is the ratio of the mass of a given volume of material at a specific temperature to the mass of an equal amount of water at the same temperature. An increase in specific gravity may indicate the presence of contaminates or oxidized materials. Flash and fire point are relevant to safety. The flash point of a lubricant is the point at which the oil has released enough vapors to ignite when an open flame is applied to it. The fire point of a lubricant is the point at which vapors are released rapidly enough to support combustion. For safety purposes, the higher the flash or fire point, the better. Spectrometric analysis measures elements that that indicate contamination, wear, and additive depletion. The main focus of this technology is to trend the accumulation of small wear metals and the elemental constituents of additives, and to identify the possible introduction of contaminates. Particle counting will track the numbers of particles of various sizes, without regard to their composition. Excessive fluid particulate contamination is a major cause of hydraulic pump failure. Establishing and maintaining a hydraulic system at optimal running condition involves many important decisions. Finding the best possible lubricant and filters to provide the cleanliness levels required can demand detailed research. Implementing an effective routine monitoring program is essential in the detection of contamination and degradation in the system. Detecting problems at an early stage can greatly impact the performance of the equipment and minimize down time. A combination of knowledge concerning the equipment, lubricant and analysis data will ensure the utmost protection of your hydraulic system. Tips for Reliable Oil Analysis? Quality assurance and quality control in oil analysis do not begin and end in the laboratory. Quality assurance programs generally audit only the laboratory process for accurate, repeatable test results. Without the proper controls in place prior to analysis, testing may be performed on non-representative, mislabeled, or out-dated samples resulting in improper corrective actions and added costs to the oil analysis program. Also, if corrective action is not taken in a timely manner, machine failures or increased damage can occur. Timely sampling, analysis, and corrective action. Quality assurance and control begin before the oil is added to the machine's reservoir. Variables that could affect data integrity must be regulated. Ensuring that the correct lubricant has been obtained from the oil vendor and that the lubricant container has been handled properly prevent problems from being introduced into the reservoir. New lubrication containers must easily identify the lubricant type and grade. Storing the container in a clean, dry place will aid in ensuring that the lubricant is not contaminated with debris or water. Also, the container should be kept in a controlled atmosphere to protect it from excessive heat or cold. Remember that it is possible to receive mislabeled or contaminated lubricant from the oil vendor. Periodically, new lubrication samples should be analyzed by the laboratory as part of the quality assurance program. Transferring lubricant from a storage container to the reservoir also can introduce contamination. If the product is not being dispensed directly from its original container, it is important to use a clean, dry receptacle for moving the lubricant to its point of use. Each container or device used for dispensing the lubricant should be clearly marked and used exclusively for one product. When obtaining a sample from the machine reservoir for testing, use a technique that will provide a representative sample. The sampling procedure must ensure that the technique used is consistent each time a sample is drawn to send to the laboratory. This will guarantee that tracking and trending values received from the laboratory are consistent and representative over time. With any oil analysis program, it is important that the sample is drawn at the same location every time as variations in the oil can sometimes be seen at different locations in the reservoir. Always check the oil level to be sure there is sufficient oil in the reservoir to obtain a sample. Whenever possible, the sample should be drawn while the unit is operating. If that is not possible, the sample should be drawn as soon after shutdown as possible. This assures that separation of any particles or water in the reservoir does not occur. Valves can also be installed for sampling purposes. The valve should be installed upstream of the filter so problems such as wear in the unit can be identified. Periodically taking a sample after the filter also can be useful. This gives a good indication of how well the filter is working. When sampling a unit with a valve, make sure the valve has been cleaned and thoroughly flushed before collecting the sample. When sampling a unit that does not have a valve, use a siphoning pump and tubing. It is critical that all sampling equipment be clean and dry. When using tubing, cut the length so the sample will be drawn from the midpoint of the reservoir. Each piece of tubing should be used only once and then discarded. Extreme caution must be exercised when using tubing to obtain oil samples from units which are operating. The tubing can be caught by moving parts and pulled into the unit, resulting in damage. Many units will have to be shut down before sampling. The most undesirable method for obtaining a sample is through a drain plug. If this procedure must be used, an adequate amount of oil should be drained first so that particles, debris, and water from the bottom of the reservoir are removed before collecting a sample. Be cautious of the results obtained from a sample that has been drawn through a drain plug. Most likely they will not be representative of the reservoir. All samples should be collected in clean, dry bottles that have never been used. Depending on the type of analysis, bottles can be purchased that have been certified to meet specific cleanliness levels. Labels should be placed on sample bottles immediately after sampling to prevent confusion. Label information should include but not be limited to reservoir identification, date of sample, lubricant hours ( if applicable), and run time hours (if applicable). For tracking and trending purposes, the same reservoir identification should be supplied to the laboratory each time a sample is drawn from that reservoir. Once a sample has been drawn, it is important to have it delivered to the laboratory in a timely manner. It is equally important that the laboratory give results in a timely manner. When selecting a laboratory for oil analysis, look for attributes such as quality assurance, turn around time, testing capabilities, and good customer service. A quality laboratory will have an in-house quality assurance program, for example the 10-CFR-50 Appendix B quality assurance and control program, or an ISO certification. A laboratory with good quality assurance should provide accurate, dependable results on every report it provides. Tour the laboratory if possible. Ask to receive copies of audits or actually audit its quality assurance program. An open line of communication is important. The laboratory will benefit from as much information about equipment, lubrication types, environmental conditions, and maintenance practices as can be provided. In return, the laboratory should be able to provide an in-depth interpretation and recommend action in the oil analysis report. Once a report has been received from the laboratory, it is important to act quickly on any recommendations or findings. Over time, increased productivity, extended machine life, decreased downtime, and decreased maintenance costs will be noted. Choose a sampling frequency and an analysis package suitable for the different types of machinery in the plant. For example, engine samples should be tested for coolant and fuel contamination which is not applicable to other systems such as hydraulic equipment. Critical equipment may be sampled on a more frequent basis and include a more extensive analysis. A close review of the current oil analysis program can ensure the best value for the company's investment. The program should not only audit the laboratory practices but also verify lubrication storage, lubrication sampling, sample handling, testing methods application, and responsiveness to the analysis results. Monitoring the entire program will make quality control more efficient and effective. From R&G Laboratories inception, it has operated under the 10-CFR-50 Appendix B Quality Assurance and Control program. This QA/QC program is the same used to build and operate nuclear power plants. R&G Laboratories's full service laboratory provides a wide range of tests on oil, grease, coolants, fuel, and transformer oil. They also maintain a Radioactive Materials License with the State of Florida, allowing them to process and dispose of Radioactive Materials including: oil, grease, coolant, and diesel fuel. Over time and with normal use, certain oil analysis results may change gradually due to lube oxidation and degradation. However, when contamination occurs you will normally notice major changes in key oil properties. There are many possible sources of contamination. For instance, contamination can occur due to normal machinery wear or environmental conditions. Contamination can also occur from improper storage and handling of the lubricant. High levels of contamination such as dirt and water, caused by improper storage, is an avoidable mistake and often very costly. And, it is not unusual for oil to become contaminated during the sampling process. One way that R&G Laboratories is continually helping its customers is by identifying various contaminants found in their lubricant samples. There are many different laboratory tests available to identify oil contamination of a sample. In some cases the source may not be related to the machinery. Microscopic analysis often reveals surprising results. In one example, a R&G Laboratories customer required cleanliness testing of a hydraulic fluid. His employee pulled a sample and brought it to the lab. When the sample was tested, it had a very high particle count. Microscopic analysis revealed that the oil contained white and red crystals, appearing randomly throughout the sample. The customer was informed of the situation, and a couple of days later he called the lab to explain that the employee who collected the sample used a bottle that had previously held cherry flavored antacid tablets. The debris observed by the lab was in fact the remnants of the tablets. This sampling error cost R&G Laboratories's customer three days and many hours of overtime. Fourier Transform Infrared (FTIR) analysis has proved to be a highly versatile tool for used oil analysis. Confirming contamination in a reservoir is among the possible uses of FTIR. One R&G Laboratories customer suspected that a lube oil had been contaminated with glue. He sent samples of both the glue and the lube in for analysis. Both samples were extracted with solvent after which an FTIR spectrum of each extraction was taken with the solvent spectrum subtracted out. The absorption spectrum confirmed that the lubricant had in fact been contaminated with the glue, consistent with the customer's suspicions. Months later, another sample was similarly found to be contaminated with glue using FTIR Spectroscopy. R&G Laboratories supports its clients with quick service coupled with accurate and concisely reported interpretation of data. Recommended actions are included with every sample submitted. Their OASISTM software generates reports, charts, and graphs for convenient viewing, trending and comparison of data. 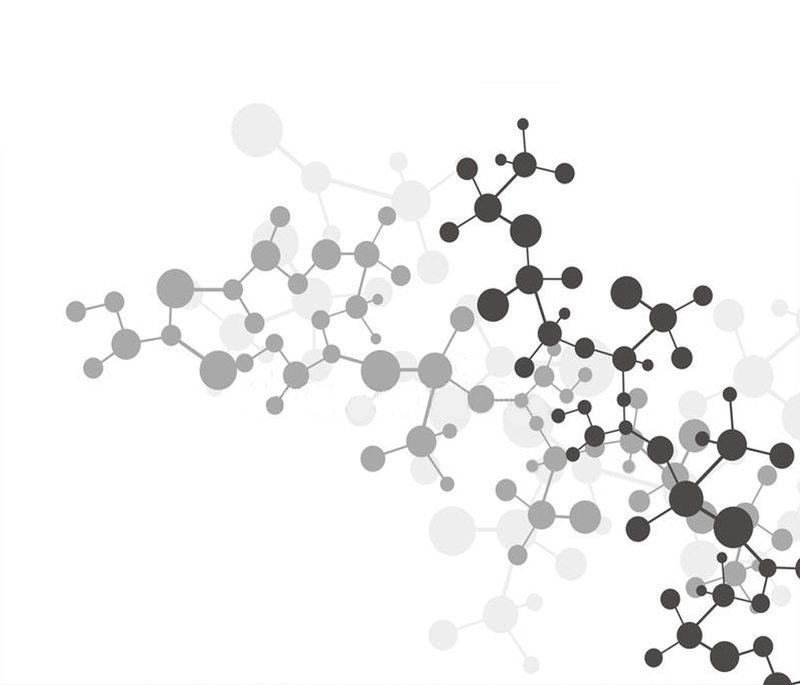 R&G Laboratories values a close customer relationship and strives to be aware of their individual needs. With clients in industries ranging from nuclear power to food production, R&G Laboratories is well aware of the specialized requirements of individual plants. Accordingly, they will therefore tailor an oil analysis program to fit these specific needs. They can assist in choosing a sampling frequency and an analysis package suitable for the different types of machinery in the plant. Laboratory personnel maintain current memberships with ASTM, STLE, American Chemical Society, and American Nuclear Society. Additives present in a lubricant improve and strengthen its life. In turn, the lubricant protects and extends the life of your equipment. Additives can improve the physical properties of the lubricant while increasing its performance. Chemically active additives are actually able to interact with metals and form a protective film with the metallic components present in the machinery. The amount of additives present in the oil depends on its intended use. High-performance machines such as engines require superior additives. The oil formulator must ensure that the additives present in the lubricant will not produce unacceptable side effects. If an additive is present in excessive levels or interacts in an unsatisfactory manner with other additives that are present, it can be detrimental to the equipment. Over a period of time additive packages can deplete, leaving machinery unprotected and vulnerable to failure. Almost every lubricant foams to some extent due to the agitation and aeration that occurs during operation. Air entertainment due to the agitation encourages foam formation. The presence of some detergent and dispersant additives tends to promote foam formation. Foaming increases oxidation and reduces the flow or oil to the bearings. In addition, foaming may cause abnormal loss of oil through orifices. Anti-foam agents are used to reduce the foaming tendencies of the lubricant. Foam inhibitors may be added to a lubricant in service if a foaming problem is detected. The lubricant and equipment manufactures should be consulted before adding foam inhibitors. Spectrometric Analysis Detects additive elements, primarily to monitor consistency in the product, as opposed to additive effectiveness or strength. (FTIR) Monitors the chemical composition of the oil in certain key wavelengths. Lubricant degradation products, such as oxidation and nitration, are monitored and trended. (ASTM D664 & D974) Agents present in the sample and indicates lube oxidation or contamination. (ASTM D664, D974, & D2896) Monitors the acid neutralizing reserves of the lubricant. This component is critical to the analysis of internal combustion engine lubricants. A decrease in total base number indicates a corresponding decrease in the lubricant's acid fighting ability. Foaming Characteristics of Lubricating Oils (ASTM D892) Characteristics Makes a determination of the foaming characteristics of lubricating oils at a specific temperature. Monitors the foaming tendency and stability of the foam. (ASTM D2272) Evaluates the oxidation stability of the lubricant. Measures the remaining useful life of the anti-oxidation capability. (ASTM D665) Evaluates the ability of inhibited mineral oils to aid in preventing the rusting of ferrous parts should water become mixed with the lubricant. Both anti-wear and extreme-pressure (EP) additives form a protective layer on metal parts by decomposition and absorption. Anti-wear additives function in moderate environments of temperature and pressure while EP additives are effective in the more extreme environments. Molybdenum disulfide and graphite additives are a special form of anti-wear additives known as anti-seize agents. They form a protective layer on the metal parts by deposition of the graphite or molybdenum disulfide. Anti-seize agents work independent of temperature and pressure. Typical applications include engine oils, transmission fluids, power steering fluids, and tractor hydraulic fluids. EP additives are common in gear oils, metalworking fluids, and some hydraulic fluids. The purpose of this additive is to suspend or disperse harmful products within the lubricant. Thus, the additive neutralizes the effect of these products. Harmful products include contaminates such as dirt, water, fuel, and process material, and lube degradation products such as sludge, varnish, and oxidation products. Typical applications include diesel and gasoline engine oils, transmission fluids, power steering fluids, and in some cases gear oils. Detergents, like dispersants, are blended into lubricants to remove and neutralize harmful products. In addition, detergents form a protective layer on the metal surfaces to prevent deposition of sludge and varnish. In engines, this can reduce the amount of acidic materials produced. A detergent's protective ability is measured by its total base number or its reserve alkalinity. The metallic basis for detergents includes barium, calcium, and magnesium and sodium. Typical applications for detergent additives are primarily diesel and gasoline engines. Friction modifiers are lubricant additives blended with the base stock to enhance the oil's natural ability to modify or reduce friction. Friction modifiers reduce wear, scoring, and noise. Typical applications include gasoline engine oils, automatic transmission oils, power steering fluids, metalworking fluids, and tractor hydraulic fluids. Anti-oxidants, also known as oxidation inhibitors, interfere with the oxidation process by chemically converting oxidation products to benign products. In addition, some oxidation inhibitors interact with the free catalytic metals (primarily copper and iron) to remove them from the oxidation process. Almost all modern lubricants contain anti-oxidation additives in varying degrees. Lubricants for extreme operating conditions such as diesel and gasoline engines, for high-temperature situations, and for applications that involve high lubricant agitation require higher levels of anti-oxidants than other lubricants. The pour point is the lowest temperature at which a lubricant will flow. In order to obtain flow of oil at low temperature (fluidity), pour depressants are added to the lubricating oil to lower the pour point. These additives tend to inhibit the formation of wax at the low temperatures. In many formulations, especially those containing viscosity improvers, supplemental pour depressants are not needed since other additives also have pour point depressant properties. Typical applications include diesel and gasoline engine oils, transmission fluids, tractor fluids, hydraulic fluids, and circulation fluids. Rust and corrosion are the result of the attack on the metal surfaces by oxygen and acidic products, and are accelerated by the presence of water and impurities. Rust and corrosion inhibitors work by neutralizing acids and forming protective films. These inhibitors must work in the lubricant and on surfaces above the liquid level. 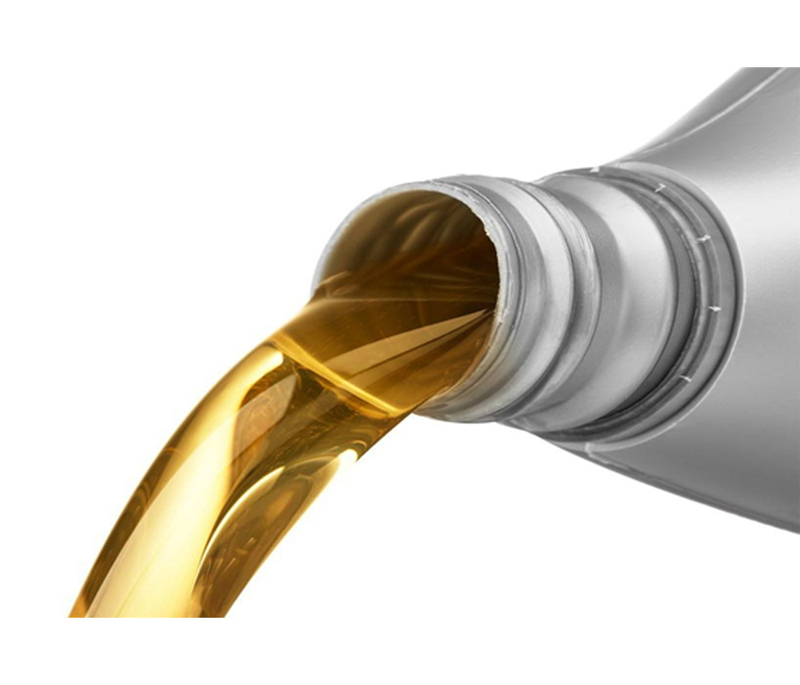 Typical applications include engine oils, gear oils, metalworking fluids, and greases. Mineral lubricants tend to lose their lubricating ability at high temperatures due to viscosity reduction. Viscosity improvers are added to a lubricant to retain satisfactory lubricating capabilities at the higher temperatures. At low temperatures the viscosity characteristics of the base stock prevail while at high temperatures the viscosity improver maintains the viscosity at satisfactory levels. In addition to these additives, there are numerous other ones such as dyes to mark lubricant types, seal-swell agents to counteract the adverse effect of other additives on seals, and biocides to retard or prevent bacterial growth. Additive packages are proprietary information and lubricant manufacturers do not offer detailed information on the additives present in their products. There are, however, several laboratory tests available to determine additive depletion or loss in a lubricant. It is important to monitor your additive package through laboratory tests. When your additive package depletes, your lubricant's performance decreases and your equipment is left unprotected. The combination of oil analysis and effectively deployed lubrication management and machine maintenance has enabled the reliability team at Northampton Generating to deliver real benefit to the organization. By identifying problem areas and dealing directly with the issues, machine reliability is on the rise, and maintenance costs reduced. The Northampton Generating Plant, located in Northern Pennsylvania, is a 110 megawatt cogeneration facility that has been providing electricity to GPU Energy since August of 1995. In addition to providing enough electricity for 110,000 homes, the plant processes steam for use in Ponderosa Fibres' recycled liner-board mill. The Northampton Generating Plant fires "culm," the waste by-product of mining anthracite coal. Approximately 545,000 tons of culm are burned each year in circulating fluidized-bed boilers, an advanced technology for burning waste coal cleanly. With cost-control pressures of deregulation looming, cogeneration stations like Northampton place a premium on machine reliability to maintain high plant availability. This maximizes the revenue from the sale of electricity while also providing a dependable process steam source for Ponderosa Fibres. When the generating plant came online, all the equipment was initially filled with mineral-based lubricants. As a proactive measure, all mineral products were replaced with synthetic products at the first scheduled change interval. The decision to use synthetics was driven by management's desire to ensure equipment reliability and to reduce lubrication manpower requirements. Given the plant's Northern location and the fact that most of the equipment is located outdoors, mineral oil requires seasonal changes to adjust for viscosity requirements. Due to improved cold weather performance and high viscosity index, synthetic oils need not be changed seasonally, thus reducing lubricant consumption and labor simultaneously. To further reduce costs and ensure reliability, oil analysis was employed to guide oil change decisions and to alert the team of any abnormal lubricant or machine conditions. Initially the use of synthetic lubricants and the elimination of scheduled and seasonal oil changes met with some skepticism. Through a series of educational meetings, the decision to use synthetic lubricants was accepted, but with a "we'll see" attitude. From the start, Northampton's maintenance philosophy emphasized predictive and proactive efforts over reactive methods. The use of synthetic lubricants combined with oil analysis fit well with this philosophy. Cost justification for the change to synthetics and condition-based changes came quickly. The increased cost of both synthetic lubricants and oil analysis costs were offset by reduced labor associated with scheduled and seasonal changes and the reduction in inventory required to stock warm and cold weather lubricants. The plant-wide annual savings totaled $20,668 in avoided lubrication costs alone. Moreover, management's objective of maximized machine availability was accomplished due to the success of the of oil analysis program. And, condition-based oil changes and extended intervals align well with Northampton's desire to minimize environmental impact. Northampton's contamination control efforts have been aggressive. Recognizing contamination as a primary root cause of machine failure, the gearbox vents were re-fit with breathers that restrict the ingestion of airborne dirt and debris. In the highly contaminated coal processing plant, gearboxes average ISO 19/14 after the change, compared to a more typical 23/20 level for these systems. The reduced strain on the bearings in these gearboxes due to this cleanliness improvement reduces wear by an estimated 50% according to research! That life extension puts money on the bottom line in the form of avoided maintenance costs and increased reliability and availability. Efforts to control contamination have also been expanded to lubricant storage. Lubricants are inventoried in a clean, controlled environment. All drums and containers are clearly marked, and a readily available log identifies precisely what machines receive what products. These combined efforts have yielded very low ISO codes and correspondingly low levels of elemental silicon when new oils are tested for quality. With reliability goals depending upon oil analysis and oil cleanliness, sample quality was critical. To ensure sample quality and consistency, sample ports were installed and specific sampling procedures have been implemented to ensure consistency. The sampling ports were installed at a central location, between the drain and fill plug. When sampling, pathways were aggressively flushed, disposable sampling supplies were used only once, and precautions were taken to not introduce airborne particles and debris into the sample container as it was being drawn. In every case, the sample was taken when the equipment was running. Oil analysis has proven to be a very effective tool for assuring the reliability of equipment at Northampton. The plant implemented vibration analysis and oil analysis simultaneously. They have proven to be an effective combination in the pursuit of management's reliability goals. For gearboxes, oil analysis has been deemed the best early indicator of problems. Presently, vibration analysis is used only on exception to aid in diagnostics. Oil analysis has also assured effective lubrication of critical systems. One particular situation where oil analysis proved vital is the cooling tower gearboxes. These gearboxes are critical to the operation. The loss of just one leads to production losses. Moreover, they are inaccessible between annual outages. At the early stages of the new "high quality" oil analysis program, it became apparent that the gearboxes had been ailing as evidenced by high total acid numbers (TAN's) and rising iron levels. Accordingly, the oil was quickly changed back to a mineral product. The result of this action was disappointing. 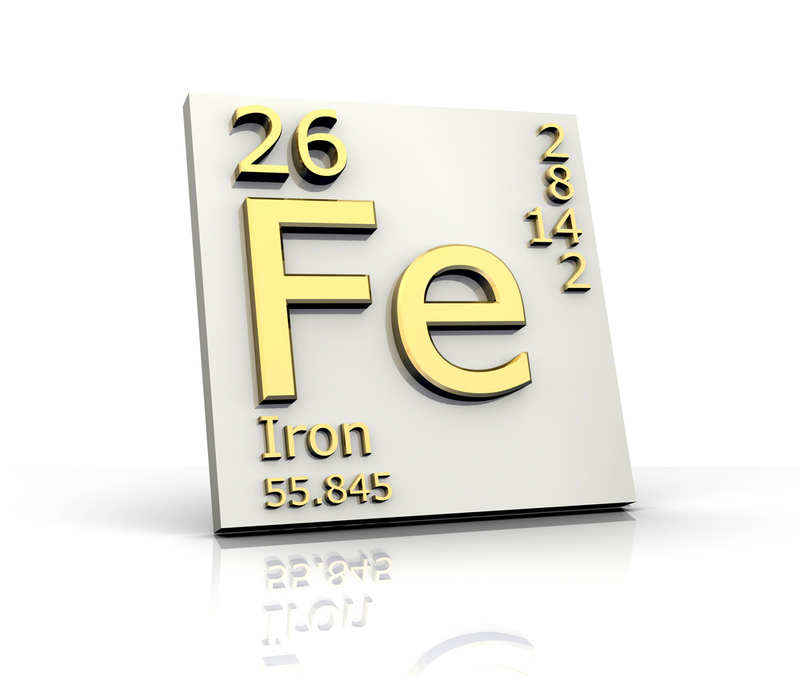 TAN and iron levels began to rise even faster than before. The team had failed to find and address the problem's root. • The gearboxes run in a tough environment rich with moisture, heat, air and catalytic iron - all of which promote oxidation. • The drain intervals had been extended. • The employment of high quality oil analysis was just under way. It is common to discover "new" problems that had merely not been uncovered previously. • The oil change was performed without a flush, leaving residual oxidized oil that acts like a "cancer", quickly depleting oxidation inhibitors and eventually attacking healthy base oil molecules. • The gearbox was drained. • The system was flushed to remove the residual oxidized oil. • A refill with the synthetic oil was implemented. • Oil analysis was standardized to ensure the reliability of these critical systems. Since taking these measures, TAN and iron levels have returned to normal. However, the lubrication team knows that when a machine is critical and operates in a challenging environment, one can't get too comfortable and rest in the light of past successes. Instead, oil analysis must be used in an ongoing manner to ensure that the cooling tower gearboxes remain well lubricated and in fit condition. A proactive approach from the start has proven very beneficial at Northampton. By combining advanced maintenance practices, including oil analysis, along with the employment of synthetics and proper lubricant handling and management, Northampton Generating is realizing management's reliability and availability goals. The successful program has been expanded to the fuel site where improved reliability has already been seen in the program's first six months. The philosophy of oil analysis as a predictive maintenance technology has drastically changed over the past few years. We've moved far beyond simply looking at the dipstick or through a site glass to determine the oil's ability to keep performing. As technologies continue to increase and equipment reliability issues become more progressive, oil analysis also had advanced in its techniques. Advanced lubricant techniques are now being used to determine the lubricant's condition, as well as to monitor the condition of the equipment. An effective lubricant analysis program increases the reliability and availability of equipment while reducing the costs associated with labor, repairs and downtime. It is important to evaluate and select a program that best fits the needs of your company. Carefully selecting a test package that is consistent with the goals of the program ensures that you are performing the appropriate tests on the type of equipment being used. Analytical techniques performed on oil samples can be classified in two categories, used oil analysis and wear particle analysis. Used oil analysis determines the condition of the lubricant itself, determines the quality of the lubricant and checks its suitability for continued for continued use. Wear particle analysis determines the mechanical condition of machine components that are lubricated. Through wear particle analysis, you can identify the composition of the solid material present and evaluate particle type, size, concentration, distribution and morphology. Spectrometric analysis is the technology that is most commonly used for trending the concentrations of wear metals such as iron, lead, tin and cooper. This technology also detects certain contamination. Coolant contamination can be detected by monitoring the concentrations of elements such as sodium and boron, and dirt contamination can be detected by monitoring the concentration of silicon. Since this technology does not detect abnormal particles, it is not an efficient way of predicting machine condition. The main focus of this technology is to trend the accumulation of small particles of wear metals and elemental constituents of additives and to identify possible introduction of contaminants. Solids content determines soot (in diesel engines), sludge, varnish and gross particulate contamination. Upward changes in the level of solids may indicate environmental or wear debris. It is especially useful in systems with poor or unsophisticated filtration. Water content determines the presence of water in the sample. Water compromises the lubricating properties of oil, promotes component corrosion and indicates malfunctioning lubricating components. Increased water concentrations indicate possible condensation (possibly prior to adding a new lubricant), coolant leaks or process leaks around seals. Viscosity is the most important physical property of oil. Therefore, viscosity determination is a critical component of an effective analysis program. Viscosity measurements monitor the resistance to flow at a specific temperature. A decrease in viscosity may indicate contamination with a solvent, fuel or oil of lower viscosity. An increase may indicate lube oxidation or contamination with a thicker lubricant. Particle counting tracks ranges of particles found in the sample. However, particle counting does not differentiate the composition of material present. Excessive particulate contamination is a major cause of failure in hydraulic pumps, motors, valves, and pressure regulators and fluid controls. Results are typically reported in certain size ranges per milliliter or per 100 milliliters of sample. The result can be directly correlated to a common classification issued by the International Standards Organization (ISO). An ISO code is based on the concentration of particles in a specific size range. Direct reading (DR) Ferrography monitors and trends the relative concentration of ferrous wear particles and determines a ratio of large to small ferrous particles to provide insight into the wear rate of the lubricated component. This method can be used as a primary tracking and trending tool, especially in systems with a high ratio of particles. DR Ferrography may also be used in cases in which particle count results are invalid, such as when the lubricant is opaque or contaminated with water. Total acid number is a measurement of the amount of acidic agents present in the sample and indicates lube oxidation or contamination. Monitor systems in which an extended drain interval is contemplated or the potential exists for acidic contamination for an increase in acidic contaminants. Total base number monitors the acid neutralizing reserve of the lubricant. This component is critical to the analysis of internal combustion engine lubricants. A decrease in the total base number indicated a corresponding decrease in the lubricant's acid-fighting ability. Infrared analysis monitors the chemical composition of oil on the basis of IR response at certain key wavelengths. Contaminants such as glycol, fuel and water are detected in units such as emergency diesel crankcases. Lubricant degradation products, such as oxidation and nitration, are monitored and trended. Analytical Ferrography is a technology that uses microscopic analysis to identify the composition of the material present. This technology differentiates the type of material contained within the sample and aids in determining the wearing component from which it was generated. This test method determines characteristics of a machine by evaluating the particle type, size, concentration, distribution and morphology. It will assist you in determining the source and resolution of the problem. · When selecting a laboratory for oil analysis, look for one with a quality assurance program. A laboratory with a good quality assurance program can ensure accurate,dependable results in every report. Make sure that the laboratory can provide you with all of your testing requirements in a timely manner. · Provide the laboratory with as much information as possible about equipment, including lubricant types and maintenance practices. The more information you can provide the laboratory, the more information it will be able to provide in the report through in-depth interpretations of the data. · Proper sampling techniques are critical in attaining consistent and accurate lubricant analysis. Improper use of sampling equipment results in contamination. Store sampling equipment in a clean, dry area. Discard disposable sampling equipment after each use. On any given machine, try to use the same sampling technique and obtain the sample from the same relative location in the reservoir. Variations in the oil can sometimes be seen at different locations in the reservoir. · Place labels on the samples immediately after sampling to prevent possible confusion on reservoir identification. Mislabeled samples could cause a false alarm. The data obtained on the mislabeled sample could show distinct changes in the lubricant's properties. Although the data obtained from laboratory testing on the mislabeled sample would be accurate, the history it would be compared with would be incorrect. Sample quality has an enormous impact on how well your oil analysis program works for you. · Knowledge of lubricants, their applications and machinery is essential in obtaining the greatest value from your oil analysis program. It is critical that you select the proper tests for the type of equipment and lubricant being tested. Most hydraulic and turbine oil systems have limits on particulate and moisture contamination. Test engine samples for coolant and fuel contamination. · It's also important to select a proper sample frequency. Sample critical equipment on a more frequent basis and include more extensive testing. · Once a report has been received from the laboratory, it is important to review it in a timely manner. Be certain that you thoroughly understand the data interpretations and recommended actions provided by the laboratory. It's also important to act quickly on any report findings. Implementing a routine oil analysis program with analyses consistent with the goals of the program can significantly reduce maintenance costs and improve machine reliability. The analytical costs of a properly implemented program should be covered by the extension of the lubricant change interval. Increased reliability, availability and the prevention of unexpected failures and downtime are added benefits. Avoiding Oil Reservoir Pollution Contamination is a leading cause of machinery damage and reduction in the oil's ability to properly perform. By controlling contamination, the life of the lubricant and machine can be extended greatly. Like any good maintenance practice, the earlier a problem is detected, the cheaper it is going to be to correct. After implementing a few good maintenance practices to control contamination, the rewards can be seen almost instantaneously. There are many possibly sources of contamination with any oil reservoir. New oil is one of the most important areas to consider as a source of potential contamination. When we think of something as being new, we typically think of it as being fresh and clean. Although new oil has not normally been considered as a likely source of contamination, new lubes are often contaminated. Contamination of new lubricants can happen in a variety of ways. The oil itself may be dirty upon receipt from the supplier. The oil may be dirty as it leaves the refinery or contamination can be introduced during the transportation process. Most end-users do not ask their vendors what type of cleanliness levels they will be receiving and most vendors do not automatically provide this information. Storage of the oil on-site also can be a source of contamination. Many times the containers of new oil are stored in an area and manner that can introduce contamination. Exposing the new oil to extreme weather conditions or unclean environments can easily introduce water contamination or airborne dust and debris. Transporting the fluid from the storage area to the equipment also may introduce a variety of contaminants. The equipment itself can contribute to sources of contamination. Vents, breathers, filters and seals all offer an avenue of contamination. Vents that are open provide a passage for airborne particles or water. Breathers and filters that are not effectively controlling particles or moisture allow them to enter the system. Similarly, seals that are damaged or not working properly also allow particles or water to enter units. Likewise, the environment also can be a contributing factor for introduction of contamination. Whenever it rains or if the equipment is washed down during a cleaning process, the opportunity for water to be introduced into the equipment increases. Additionally, units that contain fuel, glycol or coolant all have the potential to be contaminated with these products. Improper or defective equipment can cause these products to enter systems. Furthermore, systems with poor combustion may also introduce excessive soot levels. Contamination of any kind can have an adverse effect once it enters a system. Contamination can affect the equipment itself in addition to the oil that is lubricating the equipment. Particles can increase the rate of wear and oxidation and reduce the effectiveness of the additives in the oil. Water increases wear, promotes rust and oxidation, and weakens the lubricant's ability to perform. Fuel contamination causes lubricants to thin, dilutes additives, increases wear, and creates a fire hazard. Glycol contamination increases wear, corrosion, and oxidation. Soot increases viscosity, reduces the additive's ability to perform and promotes varnish and sludge. After identifying sources of potential contamination, procedures can be implemented that help avoid the risk of the contamination. Controlling the risk of contamination will help extend the life of the equipment and lubricant. It may be that the lubricant arriving from the supplier does not meet your cleanliness requirements. This can be corrected by requiring the supplier to provide you with cleaner oil or by filtering the oil before it is introduced into the equipment. On-site storage facilities may need to be re-evaluated. All new oil should be stored in a clean, controlled environment. Additionally, all storage containers should be clearly marked. Containers used to transport the oil to the equipment should be clean and used for only one lubricant. Vents, breathers, filters and seals should all be checked for their effectiveness in keeping contaminants out of the equipment. Equipment that does not have breathers and filters should be evaluated. Breathers can be installed in place of the vents and installation of filters can add extra protection. Oil analysis can assist in evaluating your current maintenance practices for effectiveness. There are numerous tests available that can detect particles, water, fuel, glycol, and soot. Oil analysis can be used to check the cleanliness levels of new lubricants. Obtaining an oil sample before and after the filter also can evaluate the effectiveness of the filter. Spectrometric Analysis is the technology most used to trend the accumulation of small wear metals, elemental constituents of additives, and identification of the possible introduction of contaminants. Viscosity is a measurement of resistance to flow at a specific temperature in relation to time. A decrease in viscosity may indicate contamination with a solvent, fuel, or lower grade viscosity oil. An increase may indicate lube oxidation or contamination with a higher grade lubricant. Solids Content will determine soot, sludge, varnish, and gross particulate contamination. Upward changes in the levels of solids may indicate environmental or wear debris. It is especially useful in systems with poor or unsophisticated filtration. Water Content will determine the presence of water in the sample. Increasing water concentrations indicate possible condensation, coolant leaks, or process leaks around seals. Particle Counting will track all ranges of particles that are found within the sample. However, particle counting will not differentiate the composition of material present. All particles are counted and reported over a particle size range. Infrared Analysis monitors the chemical composition of the oil in certain key wavelengths. Contaminants such as glycol, fuel and water can be detected. Lubricant degradation products such as oxidation and nitration are monitored and trended. Flash Point measures the temperature at which the lubricant is heated and produces a flash when an open flame is passed over it.A decrease in the flash point value can be a good indication that the lubricant is contaminated with fuel or a solvent. Glycol Based Antifreeze test detects presence of glycol based antifreeze in used lubricating oils. Analytical Ferrography a technology that utilizes microscopic analysis to identify the composition of the material present. This test method evaluates the particle type, size, concentration, distribution, and morphology. By reducing contamination from its originating source, the life of the equipment and the lubricant will be extended. The use of contamination control will enable you to obtain better equipment reliability and reduce costs associated with lubricants and disposal fees. Using oil analysis will help identify existing problems with lubricants and equipment. Regular inspections of vents, breathers, filters, and seals for effectiveness will aid in decreasing the risk of introducing contamination to a machine. Implementing a routine oil analysis program can provide early detection of abnormal conditions. Contamination control starts by keeping the contaminants out of the equipment initially. The costs associated with keeping the contamination out to begin with are much less than cleaning up a system once it has been contaminated. Once the contamination is introduced in the lubricant, the lubricant can start to degrade and internal components can deteriorate pre-maturely. Implementing a few good maintenance practices can provide the reliability needed to keep your equipment running in optimum condition. An effective lubricant analysis program increases the reliability and availability of equipment while reducing the costs associated with labor, repairs and downtime. Carefully selecting an oil analysis program that best fits the needs of your company will help you to fulfill your specific goals. The most important focus of any oil analysis program should be quality assurance. Most people tend to think of quality assurance or quality control (QA or QC) programs as being for laboratories only and so rarely originate the quality assurance and control process in their own plant. But in oil analysis the QA/QC process should not begin and end in the laboratory. Some of the most important aspects of control must initiate from within – let us consider why. Without the proper controls in place prior to analysis, testing may be performed on non-representative, mislabeled or out-dated samples, which in turn will lead to the wrong corrective actions and to added costs on the oil analysis program. If these issues of control are not considered prior to the sample arriving at the laboratory, any test results obtained will be of small value. Quality assurance and control begins as soon as the supplier delivers the lubricant. Ensuring every time that the correct lubricant has been obtained from the oil vendor and that the lubricant container has been handled properly will prevent problems from being introduced into the reservoir. New lubrication containers must allow for easy identification of the lubricant type and grade. Proper storage of the lubricants is also critical. Although it may sound basic, storing the containers in a clean, dry place will aid in ensuring that the lubricant is not contaminated with debris or water. The storage containers should also be kept in a controlled environment, protected from excessive heat or cold. Remember that it is possible to receive mislabeled or contaminated lubricant from the oil vendor. At least periodically, new lubricant samples should be submitted to the laboratory for analysis as part of the quality assurance program. You may be surprised to find out how "dirty" your "new" oil really is. The process of transferring lubricants from a storage container into the reservoir can easily be one where contamination is introduced. It is important to set out and implement clear procedures to reduce the risk of contamination. If the product is not being dispensed directly from its original container, then a clean, dry receptacle must be used for the purpose of moving the lubricant to its point of use. Each container or device used for dispensing the lubricant should be clearly marked and used exclusively for one product. Special precautions should be made when obtaining a sample from the machine reservoir for testing. It is vital to use a technique that will provide a representative sample. The sampling procedure must ensure that the technique used is consistent each time a sample is drawn to send to the laboratory. This will guarantee that tracking and trending values received from the laboratory are consistent and representative over time. In other words, the results will be meaningful. How exactly can this be achieved?With any oil analysis program, it is important that the sample is drawn at the same location every time, because variations in the oil can sometimes be seen at different locations in the reservoir. Whenever possible, the sample should be drawn while the unit is operating. If for safety or other reasons this is not an option, the sample should be drawn as soon after shutdown as possible. This ensures that separation of any particles or water in the reservoir does not occur and lead to a falsely 'clean' or 'dirty' reading. One answer may be to install a valve specifically for sampling purposes. The valve should be installed upstream of the filter so that problems such as wear in the unit can be identified. Periodically taking a sample after the oil passes through the filter can also be useful. This will give a good indication of how well the filter is working. When sampling a unit with a valve, make sure the valve has been cleaned and thoroughly flushed before collecting the sample. When sampling a unit that does not have a valve, use a siphoning pump and tubing. It is critical that all sampling equipment be clean and dry. When using tubing, cut the length so that the sample will be drawn from the mid-point of the reservoir. Each piece of tubing should be used only once and then discarded to minimize the risk of contamination. Extreme caution must be exercised when using tubing to obtain oil samples from units that are operating. The tubing can be caught by moving parts and pulled into the unit, resulting in damage. In these cases, it is better to shut down the equipment before obtaining a sample. The most undesirable method for obtaining a sample - but surprisingly still wide-spread in use - is through a drain plug. If this procedure really must be used, an adequate amount of oil should be drained first so that particles, debris, and water from the bottom of the reservoir are removed before collecting a sample. Be cautious of the results obtained from a sample that has been drawn through a drain plug. It is more likely that they will not be representative of the reservoir. Once obtained, all samples should be placed in clean, dry bottles that have never been used. Depending on the type of analysis, bottles can be purchased that have been certified to meet specific cleanliness levels. Labels should be placed on sample bottles immediately after sampling, to prevent confusion. Label information should include - but need not be limited to -reservoir identification, date of sample, lubricant hours (if applicable), and run time hours (if applicable).For tracking and trending purposes, the same reservoir identification should be supplied to the laboratory each time a sample is drawn from that reservoir. Once a sample has been drawn, it is important to have it delivered to the laboratory as quickly as possible. It is equally important that the laboratory give prompt results. When selecting a laboratory for oil analysis, look for attributes such as quality assurance, turn around time, testing capabilities, and good customer service. A quality laboratory will have an in-house quality assurance program, for example the 10-CFR-50 Appendix B quality assurance and control program, or an ISO certification. A laboratory with good quality assurance should provide accurate, dependable results on every report it provides. Provide the laboratory with as much information about the equipment, lubrication types, environmental conditions, and maintenance practices as possible. In return, the laboratory should be able to provide an in-depth interpretation and recommend action in the oil analysis report. Once you have received an oil analysis report from the laboratory, it is imperative to act quickly on any findings or recommendations. It may be useful to carry out a second sample to verify the results, just in case the original sample was contaminated or not representative. If you have any questions concerning the data findings or the recommendations given, be sure to contact the laboratory directly. A lack of open lines of communication will only compound any problems. It is crucial that you give consideration to the type of analyses you are going to request for your oil samples. You will need to select a sampling frequency and set of tests for each of the different types of machinery in your plant. For example, engine samples should be tested for coolant and fuel contamination, but these tests would not be applicable to lubricants taken from hydraulic equipment. And to make best use of testing, ensure that there will be sufficient data to give you information not only about the state of the lubricant but about the equipment from which it came. Basic tests will only give an idea of the oil quality without telling you anything about the condition of your plant. It is by incorporating condition monitoring into your oil analysis program that you will genuinely be able to save pounds or dollars on your maintenance bills. To this end, critical equipment should be sampled more frequently, and analyzed more extensively than other less essential plant. If you are setting up an oil analysis program for the first time in your factory, or have introduced a new piece of equipment to the scheme, it is good practice to analyze the oil once monthly for the first three months to establish a baseline or 'normal' reading for the unit. Keeping a close eye on your oil analysis program can really ensure the maximum value for the company's investment in its equipment. The process of setting up your program should include auditing the laboratory's practices, and should establish clear and well-understood routines for lubrication storage, sampling procedures, sample handling, testing methods application, and responsiveness to the analysis results. Ongoing monitoring of the whole package will help you control, and ensure a more reliable oil program. Oil analysis can go far beyond simply telling you the condition of the lubricant itself. Advanced oil analysis laboratory techniques are being used to monitor the condition of the equipment. By utilizing these advanced techniques, equipment reliability increases and unexpected failures and down time can be minimized. There are many types of abnormal wear that can exist inside a piece of machinery. Although there are many different types of wear, there are only a few primary sources of the wear. Problems related to the oil itself may contribute to wear, in cases where the lubricant has degraded or become contaminated. The machine condition can also contribute to the generation of wear, if a component is misaligned or improperly balanced. Improper use of the equipment such as overload or accelerated heating conditions can also generate wear. Below are some examples of the different types of wear that can occur. Abrasive Wear is the results of hard particles coming in contact with internal components. Such particles include dirt and a variety of wear metals. Introducing a filtration process can reduce abrasive wear. It is also important to ensure vents, breathers, and seals are working properly. Adhesive Wear is when two metal surfaces come in contact allowing particles to break away from the components. Insufficient lubrication or lubricant contamination normally causes this. Ensuring the proper viscosity grade lubricant is used can reduce adhesive wear. Reducing contamination in the oil will also help eliminate adhesive wear. Cavitation occurs when entrained air or gas bubbles collapse. When the collapse occurs against the surface of internal components, cracks and pits can be formed. Controlling foaming characteristics of oil with an anti-foam additive can help reduce cavitation. Corrosive Wear is caused by a chemical reaction that actually removes material from a component surface. Corrosion can be a direct result of acidic oxidation. A random electrical current can also cause corrosion. Electrical current corrosion results in welding and pitting of the wear surface. The presence of water or combustion products can promote corrosive wear. Cutting Wear can be caused when an abrasive particle has imbedded itself in a soft surface. Equipment imbalance or misalignment can contribute to cutting wear. Proper filtration and equipment maintenance is imperative to reducing cutting wear. Fatigue Wear results when cracks develop in the component surface allowing the generation and removal of particles. Leading causes of fatigue wear include insufficient lubrication, lubricant contamination, and component fatigue. Sliding Wear is caused by equipment stress. Subjecting equipment to excessive speeds or loads can result in sliding wear. The excess heat in an overload situation weakens the lubricant and can result in metal-to-metal contact. When a moving part comes in contact with a stationary part sliding wear becomes an issue. By providing proper lubrication, filtration, and equipment maintenance, much of the wear that occurs inside of the equipment can be reduced. By implementing predictive maintenance practices such as vibration, infrared, thermography, and oil analysis, you can identify potential problems. By monitoring the equipment's condition with oil analysis, you can identify different types of wear and take proper corrective action before a failure occurs. In fact, there are many cases where oil analysis will identify problems with rotating equipment prior to even vibration analysis detecting it. When implementing an oil analysis condition-monitoring program, it is important to select proper tests that will identify abnormal wear particles in the oil. When components inside the equipment wear, debris is generated. By identifying the wear debris present, you can establish the source of the problem. Below are some examples of different laboratory tests that can help identify wear. Spectrometric Analysis is the technology that is most commonly used for trending the concentrations of wear metals. The main focus of this technology is to trend the accumulation of small wear metals, elemental constituents of additives, and identification of possible introduction of contaminants. The results are typically reported in parts per million (PPM). It is important to remember that this technology only monitors the smaller particles present in the oil. Any large wear metal particles present will not be detected or reported. Particle Counting will track all ranges of particles that are found within the sample. However, particle counting will not differentiate the composition of materials present. The main focus of this technology is to identify the number of particles present in the sample. The results are typically reported in certain size ranges per milliliter or per 100 milliliters of sample. Direct Reading Ferrography monitors and trends the relative concentration of ferrous wear particles and determines a ratio of large to small ferrous particles to provide insight into the wear rate of the lubricated component. This method can be used as a tracking and trending tool, especially in systems that generate a high rate of particles. Analytical Ferrography is a technology that utilizes microscopic analysis to identify the composition of the material present. This technology will differentiate the type of material contained within the sample and determine the wearing component from which it was generated. This test method is used to determine characteristics of a machine by evaluating the particle type, size, concentration, distribution, and morphology. This will assist in determining the source and resolution of the problem. It is important to remember that each laboratory test has limitations. It is essential that you select a well-balanced test package that will correctly identify potential problems within your equipment. Many of the laboratory tests actually compliment each other. The purpose of an oil analysis program should not be to merely check the lubricant's condition. The real maintenance dollars saved by utilizing oil analysis are going to be when equipment problems are detected. Below are some examples of wear metals and their component origins. Break-In Wear, Normal Wear, and Abnormal Wear are the three phases of wear that exist in equipment. Break-In Wear occurs during the start-up stages of a new component. This phase typically generates significant wear metal debris that will be removed during the first couple of oil changes. Normal Wear occurs after the Break-In Wear stage. During this stage the component becomes more stabilized. Wear metals will increase with equipment usage and decrease when makeup oil is added or oil changes occur. Abnormal Wear occurs as a result of some form of lubricant, machinery, or maintenance problem. During this stage the wear metals increase significantly. By utilizing oil analysis on a routine basis, a base line for each piece of equipment can be established. As the oil analysis data deviates from the established base line, abnormal wear modes can be identified. Once abnormal wear modes are identified corrective action can be planned. Implementation of an oil analysis program with analyses consistent with the goals of the program will significantly reduce maintenance costs and improve plant reliability and safety. Lubricant analysis for the purpose of machinery conditioning monitoring is at its best with a significant amount of historical data. It is important to establish a base line for each piece of equipment. Certain analytical results may change with lube oxidation and degradation due to normal use, the major changes occur due to contamination from environmental factors and machinery wear debris. The analytical costs of a properly implemented program should be covered by the extension of the lubricant change interval. Increased reliability, availability, and the prevention of unanticipated failures and downtime are added benefits. R&G Labs will provide you with two complimentary wear particle analyses per plant. Many plants do not know what kind of information can be gathered by predictive oil analysis, others want to compare us to their current lab. We are confident that our quality and value will show, but the only way we can prove it to you is to show real results on your actual samples. R&G Laboratories is an ISO/IEC 17025 accredited laboratory and maintains a radioactive materials license. Also, R&G Laboratories operates under the 10-CFR-50 Appendix B Quality Control and Assurance Program. This ensures that our customers get accurate, dependable results on every report. R&G Laboratories offers the full line of Oil Safe, Des-Case, and CheckFluid Products to compliment your lubricant analysis program.